Ever had a stamp set you just had to have? I saw this adorable Avery Elle set about a month ago and fell in love. It has been out of stock everywhere, but last week a friend saw that it was available and messaged me. So... lol I thought it would be super fun with this week's sketch at CAS(E) this Sketch. 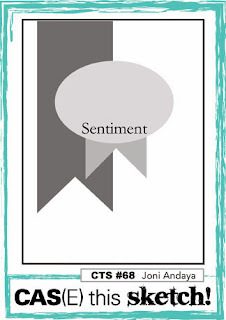 I also am entering at the AE I heartU challenge to use embellishments! It's a bit strange that I love it so much since I'm terrified of balloons! Sorry for the lack of posts this week. Yesterday was my 10th wedding anniversary so Jason and I spent the day out and about. 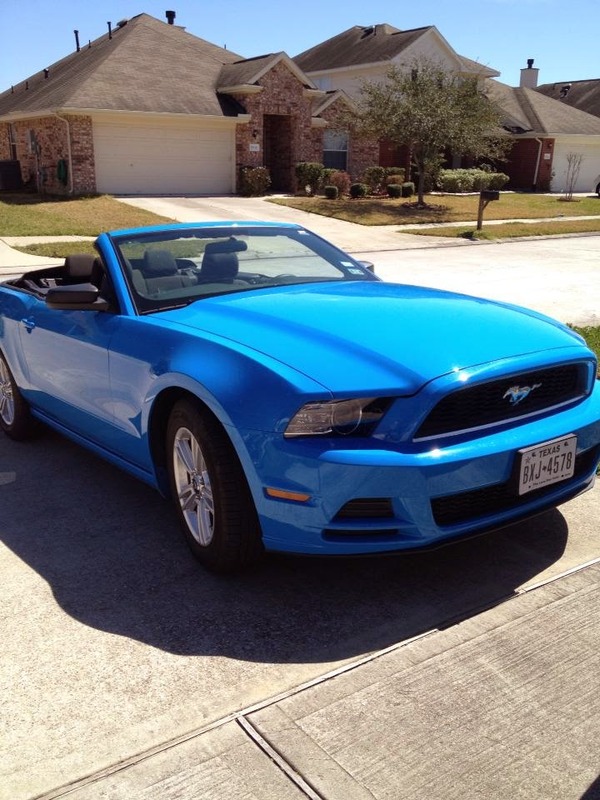 He rented this cool car and we drove it down to the Kemah Boardwalk and spent some time just walking around. We rode the ferris wheel and had dinner at The Aquarium. I was a bit bummed when we had to return the car today, but I had a blast driving it as it's my dream car! He even put Laila's car seat in it today and we took her for a ride around the neighborhood with the top down. She LOVED it and so did we. :) She also got to play outside for a while today. It was just a beautiful, beautiful day! I love this image too! So cute, especially with that sketch, which is great! I am not afraid of balloons, I just can't blow them up, it makes me sick!!! Weird, I know! Happy Anniversary, too! Awesome ride. Happy anniversary - what a very cool way to spend it. Congrats to you both. I have been following your blog for awhile now. Had no idea you lived so close. I live in La Porte so if you went to Kemah you have to be close. So Howdy Neighbor. I love this image! So cute! Great take on the sketch. I love the gray and teal! Cute card! Thanks for playing along with the AE Challenge! Happy Anniversary, Rita. I'm glad you had a great day. This is an adorable card. It sounds like you had an amazing anniversary and a lovely day! And I totally "get" why you had to have that Party Animal set - I love that funny balloon animal, too! Thanks so much for playing with us at the Avery Elle AEI♥U Challenge! We're so glad you did! fantastic card! I really like this color combo and that party animal! Yes, I know what you mean, lol! Thanks for joining us at the AE challenge! So happy you got your hands on this balloon animal--I love the color combo and how you used the sketch, too! Thanks for joining the AE challenge! This is adorable! Love the image, colors, sketch, everything about it! The car and your daughter are sweet too! Happy Anniversary. Happy Anniversary! Such a fun idea to rent a car for it! Your card is so sweet! Wonderful take on the sketch! What a fun way to spend your anniversary! Love your card. It's fabulous! 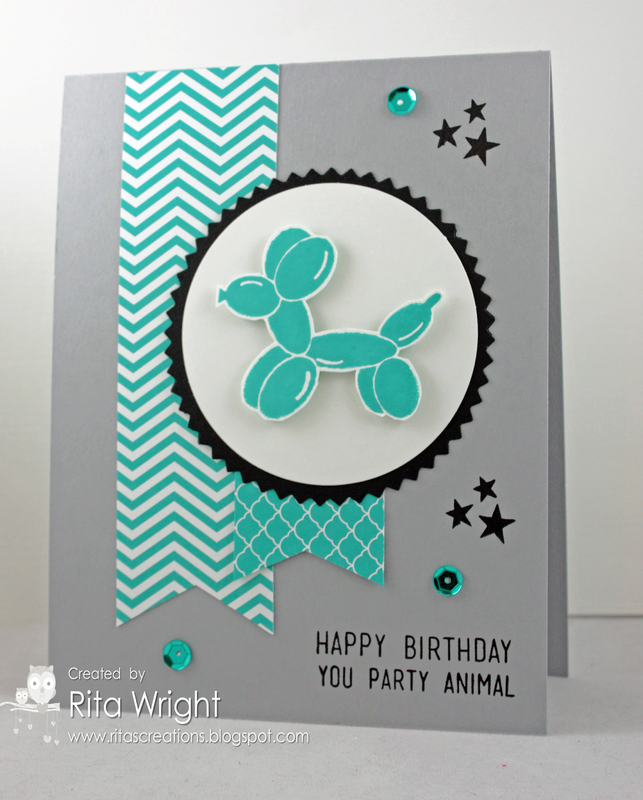 Love the aqua/grey combination (and the Party Animal stamps too!)! A beautiful take on the sketch! Adorable card ( and little girl!)! What a fun way to spend your anniversary! Love your card...that balloon stamp is perfect...and so are your choice of colors!! Your daughter is beautiful...so glad you enjoyed your 10th in such a cool car...what fun!! This card is so cute and Happy Anniversary! !